It’s official. I am now HAWAII. Yes, I’ve reached the 50th state of birthdays. What a week. Saw so many people, did wonderful things, wore ALL the perfumes and had Aunty Tracey down to stay. This week has been one of the very good ones. Almost every day looking around at the people in my life it is the happiest of surprises how wonderful they all are. Every one of them with some divine spark. It is the people around us that bless us. Saturday Question: What is Your Fave Date Night Fragrance? So it’s a Mid Season again. YAY! These are my favourite bits of the year. Autumn and Spring. Why? Well, though I do love the warmth and freezing cold I find life much easier between 20C and 30C as top range heats. Dressing for the day is easier and you only need a comfy old jumper or hoodie as standby for cooler evenings. I also seem to function better physically and mentally in the Mid Seasons and I often feel more inspired to create positive change in my life. It’s great for fragrance too because almost everything goes, here are some things that I love for these glorious days. I’ve chosen some fragrances that seemed to get a lot of attention when they were released but then have been basically ignored ever since. Yes, I talk about them but I rarely see them mentioned elsewhere so here’s a friendly reminder of some of my Mid Season loves. Mitzah opens all hot smoky spices and incense, with unmentioned leather and tobacco notes. Not an intense journey through the perfume with mountainous peaks and troughs, while there are definite start middle and end notes it’s more of a progression. The kick at the start warms slowly and languidly through mildly sweet towards a honeyed amber dry down. Oudh, geranium and sandalwood are triumphant kings through the story of this fragrance for me, their characters working in tandem and against each other to keep The Aoud interesting and unusual. Though rose is a featured note it doesn’t play heavily here, more a light accompaniment with the leather, saffron and incense. Blooms in the heat and is cuddly at night. 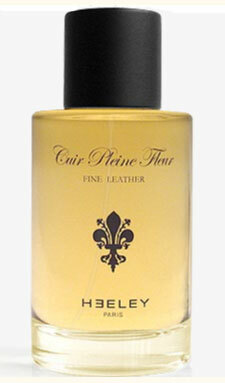 Cuir Pleine Fleur is one of the easiest leathers I’ve ever smelled, friendly, well worn kid gloves and while being fragrant it is never overpowering or uncomfortable. A green leather, if you can believe it. I am loving it this season because it has a cool edge for warm days and the soft and,alias make it cozy in the cool. Chai! Sweet, milky, spicy and warming but with a green facet that gives it a papery rasp and picks Indian Wood up. This sweetness comes from the sweetness of milky woods, piquant spices and the warm memories of cooking. Even though this is a gourmand it’s green dryness keeps it from overwhelming in the heat. Big White Flowers and peachy/coriander skank bomb. The tuberose is excellent and lushly indolic, I am always surprised there is no ylang here because I am reminded of its sensual lushness, maybe it’s the orange blossom/tuberose melange. What do you wear Mid Season or what do you love that isn’t talked about much anymore? I have the best friends in the world. we had a BarBQ get together yesterday with a few of them and I was given a bottle of The Aoud by my mate Alice who has just returned from the UK recently. She was down shopping in Selfridges fragrance floor and the Mancera SA was so good at her job, and Alice so overwhelmed by the incredible amount of choice, that in next to no time Alice was buying herself and me a bottle each of different frags in the line. I’m not sure what Alice got for herself but The Aoud by Mancera is a winner. Don’t go to the Mancera website, it has no information, is totally annoying to navigate and doesn’t even tell you about their fragrances other than 3 of them. GRRRR! So bloody unhelpful and this lack of information only hinders us blogging perfume enthusiasts that like to go see what is what. Even more terrible for shoppers I think. Perfumer Pierre Mancera opened his first Mancera luxurious perfume boutique at Place Vendo in Paris. Mancera perfumes are made from precious and luxurious ingredients, rare and refined materials, inspired by Art Deco design. The fragrance features accords of: Geranium, sandalwood, saffron, incense, rose, agarwood (oud), leather and ambergris. On opening the beautifully presented package with its shiny gold, very Arabian feeling, embossed cardboard box there is a gold drawstring pouch with the Mancera M in black repeated. It is a luxurious first glimpse and I like the feeling. The 60ml bottle is hefty and simple. Fits beautifully in my hand and the screw cap is a nice touch meaning the bottle is hand or gym bag ready without the worry of cap loss and self spraying of atomiser. V Important. I love the opening medicinal notes, they are refined and luxurious. The oudh is noticeable right at the start as a warm, earthy, horse apple, green and grassy waft that lasts through the fragrance but it’s not toxic or heavy like many of the Arabian style of oudh. It is airy and fresh. The geranium adding a bright counterpoint and the sandalwood giving its buttery smoothness almost immediately. Oudh, geranium and sandalwood are triumphant kings through the story of this fragrance for me, their characters working in tandem and against each other to keep The Aoud interesting and unusual. Though rose is a featured note it doesn’t play heavily here, more a light accompaniment with the leather, saffron and incense. At about the 1.5-2 hour mark I start getting a lovely salty beach/sea water smell that I think may be The Aoud by Mancera’s ambergris. 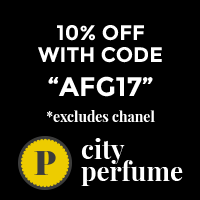 A fragrance of many colours, light and shade, an adventure in a bottle, subtle, alluring; I am running out of cliches to describe something far from cliched; even with the completely overwhelming amount of oudh on the market this is different and extremely wearable. No problem wearing anywhere except a strict no fragrance policy or close quarters work environment. The Aoud has good sillage but is not a skunker unless you are extremely lavish with your application, scent bubble around one meter maximum after the first hour. See how bright and new, sleek and lovely this trireme looks, The Aoud by Mancera has a kind of freshness about it that makes me think sea journey in a newly hewn ship with livestock in the hold for food and riding, naked, muscular slaves and the ever present smell of salt water on the cool breeze, but on the deck it would be warm and fragrant, and we of course would be in charge.